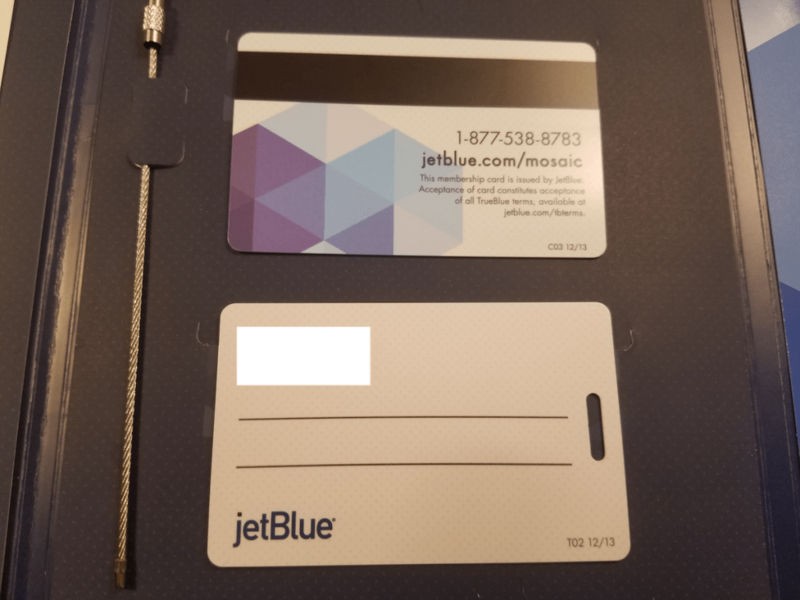 After signing up for the JetBlue points match promotion I applied for a status match (note the promotion has ended). Within a few days I received an email that I had been matched from my Alaska MVP Gold 75K to TrueBlue Mosaic status. 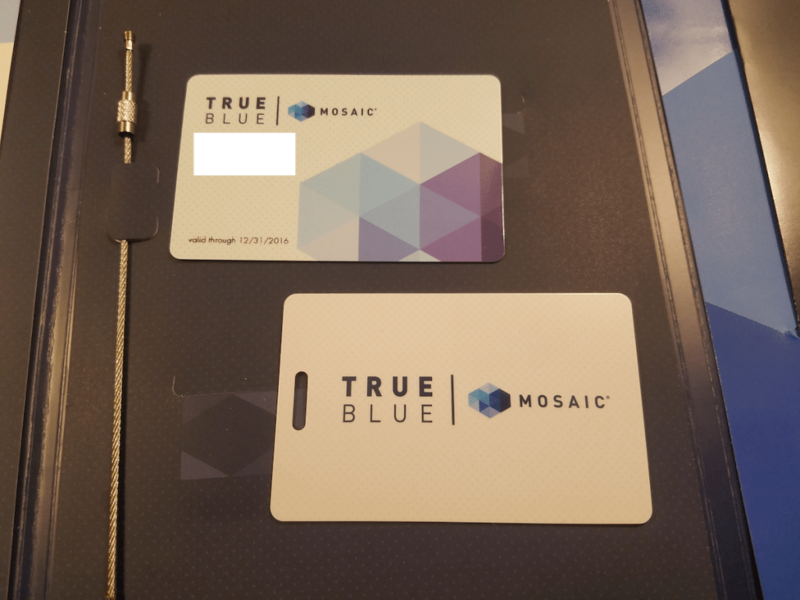 A month (and a day) later I received in the mail my JetBlue TrueBlue Mosaic welcome kit. 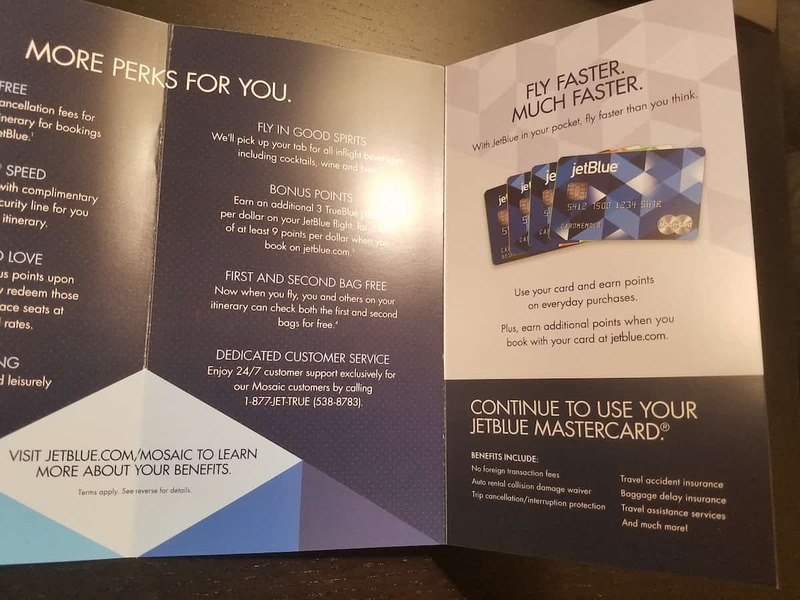 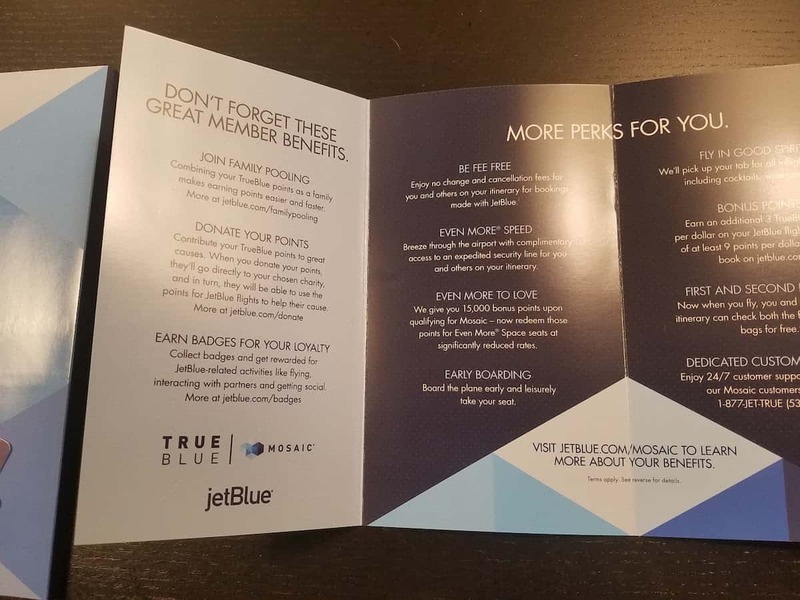 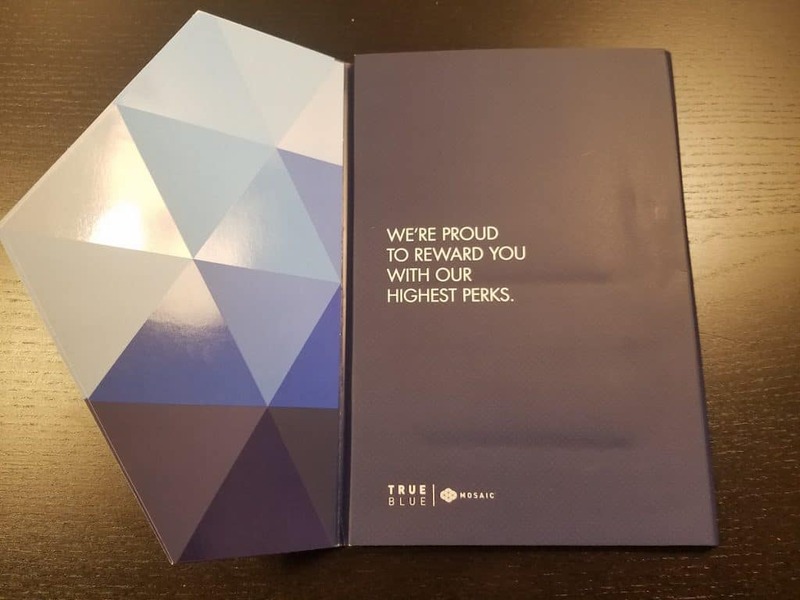 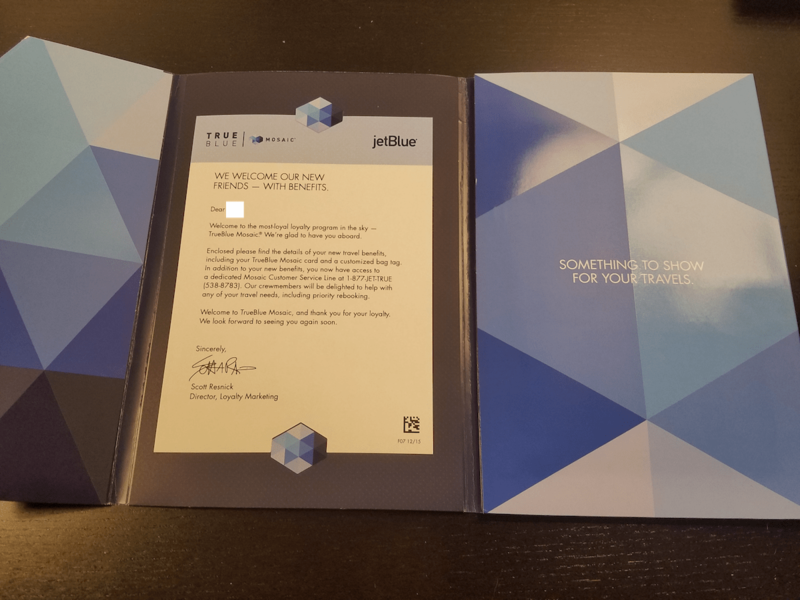 Below are the “unboxing” photos of what is included in the JetBlue TrueBlue Mosaic welcome kit. 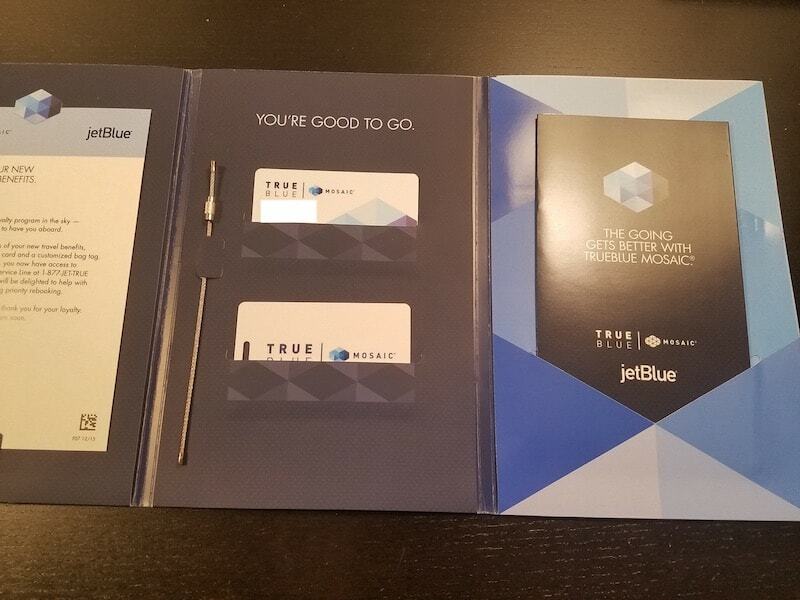 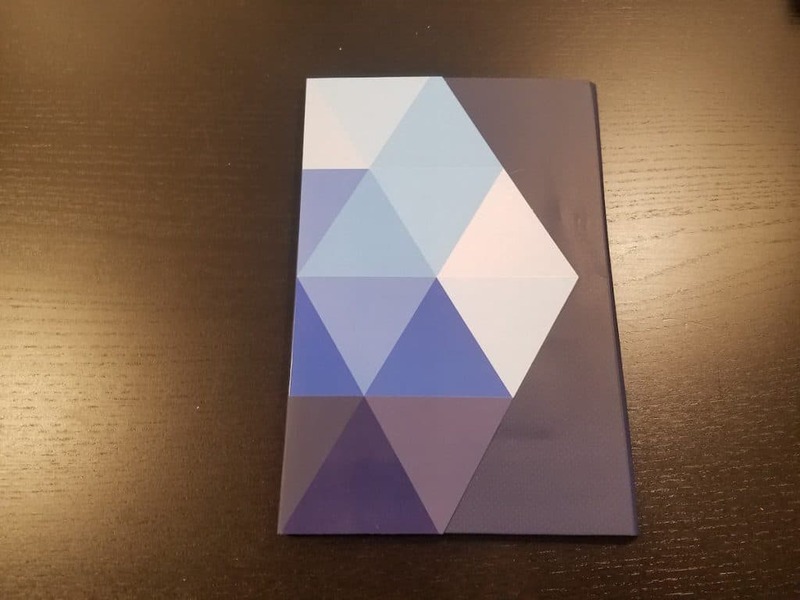 Overall I was quite impressed by the quality of the JetBlue TrueBlue Mosaic welcome kit. 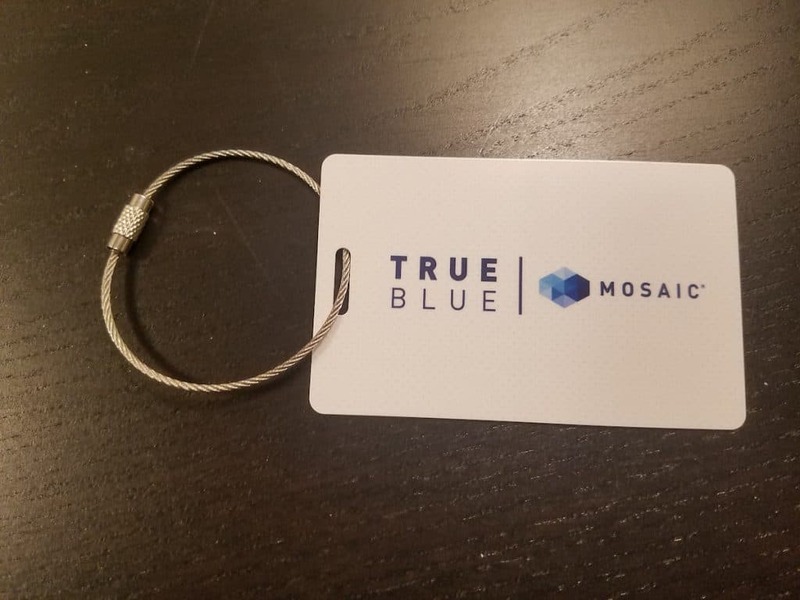 Especially the metal wire loop for the bag tag. 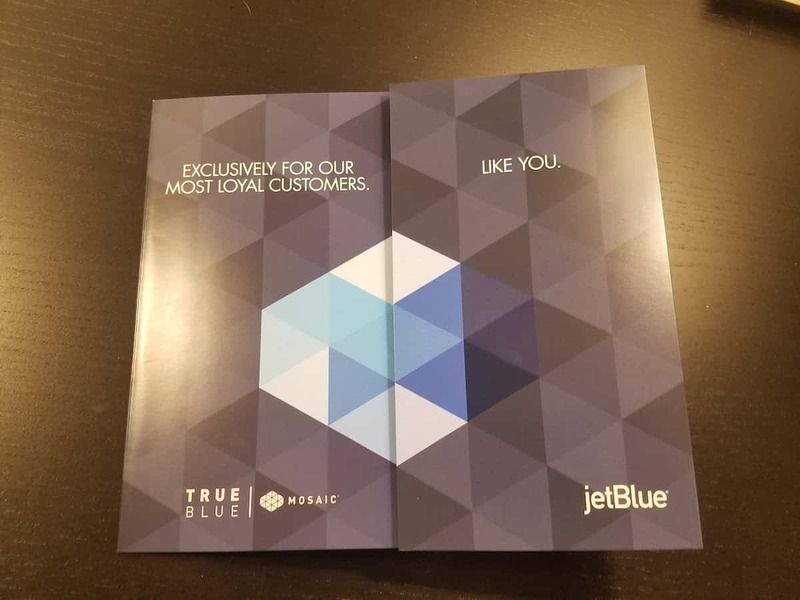 I found that JetBlue treats Mosaic members quite well. 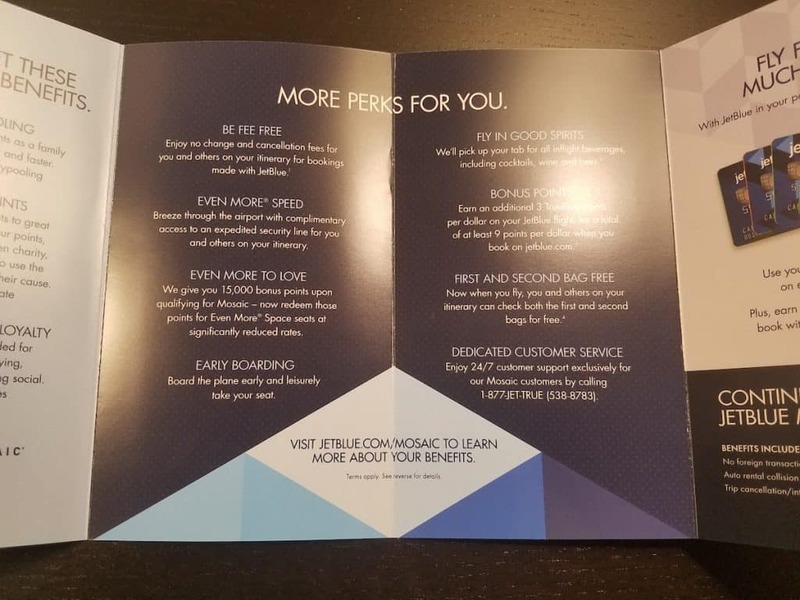 Unfortunately their routes are limited out of Seattle.